How To Find Your Lost Mobile Phone? Mobile phones have become very important in today's World. Your mobile phone contains all your personal information including bank details, contacts, browsing history, photographs, emails and so on. With the growing importance of mobile phones, mobile phone theft has become a big problem. Before we tell you how to find your lost mobile phone, let us first discuss, the preventive steps to ensure you have the necessary information, if you lose your mobile phone. Your mobile phone will have a unique tamperproof number called IMEI (International Mobile Equipment Identity). You should note down this number for future reference. IMEI will be mentioned on the back panel of your phone and it will also be given on your phone purchase bill. You can also find your IMEI number just by dialing *#06# on your mobile phone. You should never throw away your phone purchase bill. Note down this information. It can help you take legal action when you lose your phone. If you lose your mobile phone, it is very important to lodge a complaint with the police, as your phone can be misused. You should have your IMEI number with you, while registering the FIR. 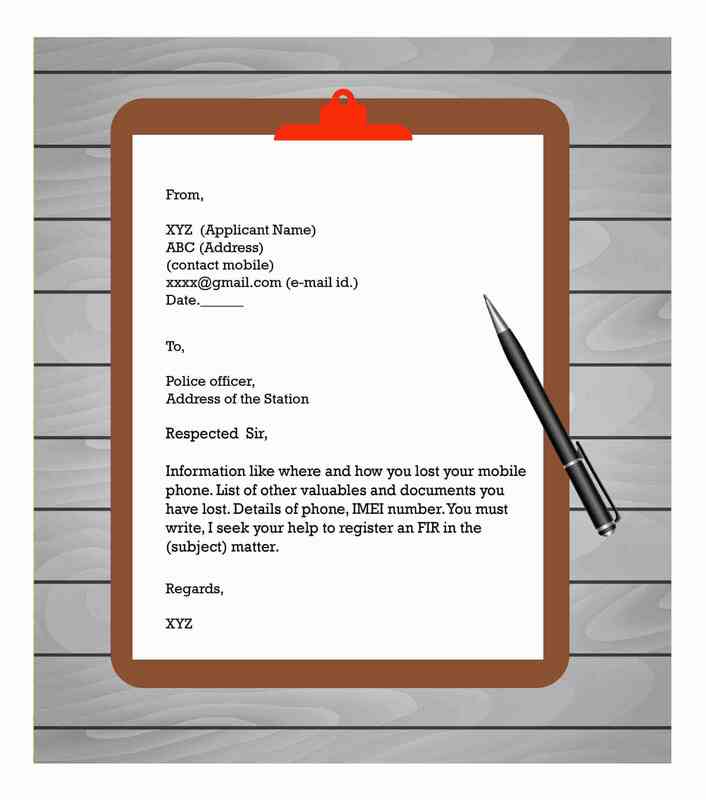 If your mobile phone has been stolen, you should lodge an FIR at the nearest police station. While filing an FIR, you should give all the details of your lost mobile such as color, IMEI number and the model of the phone. In case of theft, the police will register your number with ZIPNET (Zonal Integrated Police Network). ZIPNET helps in tracking stolen phones and in contacting telecom providers to locate the phone using the IMEI. After filing the FIR, you should collect the copy of the FIR. The FIR copy will help you, track the status of the FIR. In you have misplaced or lost your phone, the process is really simple. Just go to nearest police station and register a Daily Dairy Report (DDR). FIR is filed only in case of serious offences. For normal cases, DDR can be registered.